In the last years, politicians and pundits alike have been startled to see a massive rise in public opposition to the EU’s trade negotiations, so much so that the signing of the EU-Canada Comprehensive Economic and Trade Agreement (CETA) last year was seriously in doubt. Currently, its ratification in the national parliaments of all EU member States is looking uncertain. Far less known is that the EU is negotiating other trade deals that include many of the same controversial provisions and yet are receiving no scrutiny. The ongoing negotiations between the EU and Mexico seeking to ‘modernise’ their 15-year-old Free Trade Agreement (MXEU FTA) is a prime example. A key feature of the “modernisation” process is the inclusion of a controversial investment protection chapter with the same characteristics as the one recently included in the Canada-EU trade agreement (CETA). 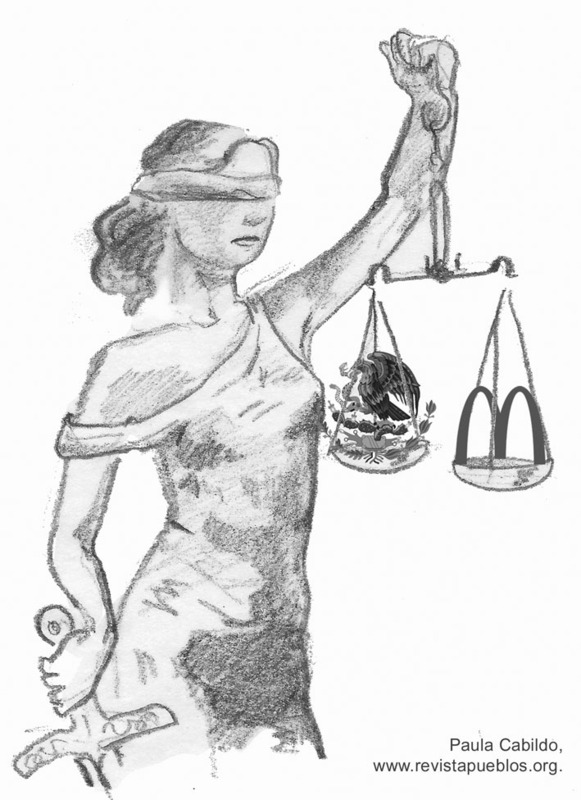 The so-called Investor Court System proposal (ICS) that the European Commission (EC) is promoting has been billed as a significant reform to the now discredited investor-state dispute settlement mechanism (ISDS).Yet close examination by many legal experts and researchers shows that it still grants corporations ample rights to continue suing governments when taking measures in the public interest ]. Mexico is already one of the most sued countries in the world – ranked 7th according to UNCTAD – and has been forced to pay out $246 million in compensation, not including legal costs. A treaty under the current terms will almost certainly prompt a new wave of corporate lawsuits against Mexico. Not only is EU investment into Mexico growing significantly (it has tripled since 2000), EU-based investors have initiated the largest number of investment-state disputes worldwide (53%). Big oil will particularly benefit from this agreement. The treaty will have the effect of ‘locking in’ the 2013 reforms that opened up the exploitation of the oil and gas industry to foreign companies. EU energy companies like Shell, BP and Total have a key interest in the Mexican oil market. Future Mexican governments will find it hard to reverse these policies without the risk of being sued at international investment tribunals– even if they are mandated by their populations. But, Mexico is not the only one that is risking being sued under this treaty. European governments, and Spain in particular, could also now face arbitration disputes launched by Mexican transnational corporations. Mexico became the fifth biggest investor in Spain in 2015, making 14 acquisitions worth nearly $2 billion in the chemical, cement, car and consumer goods sectors in the last 2 years. These include investments by the business conglomerations of the billionaire Carlos Slim, the world’s fourth richest man. Meanwhile, the EC continues to turn a blind eye to human rights violations by European companies. The EU proposal does not include any obligations for investors, therefore it will deepen the imbalance between binding rights for corporations to protect their profits and unenforceable voluntary guidelines when it comes to investors respecting human rights. Across, the EU, popular frustration with unaccountable politicians is rising, leading to the rise of far-right parties and the possible imminent exit of the UK. If the EU wants to regain its legitimacy, it needs to stop negotiating trade deals written by and for multinationals and instead listen to the 3 million people across Europe that have called for trade negotiations based on principles of cooperation, solidarity and human rights.